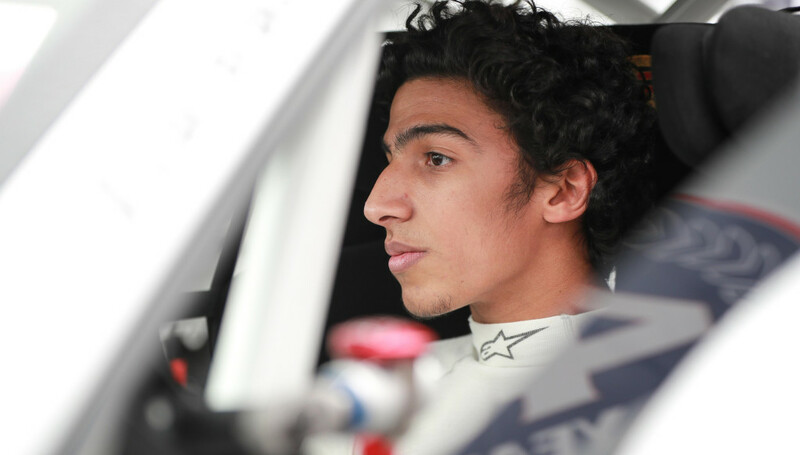 Oman’s Al Faisal Al Zubair and Khalid Al Wahaibi survived a dramatic opening race at the Red Bull Ring, the first half of the second round of the Porsche Carrera Cup Deutschland in Austria on Saturday afternoon. Al Zubair was running ahead of his young Omani colleague until he suffered a collision, spun out in traffic after 10 of the 17 laps and had to fight his way back through the field to the finish. 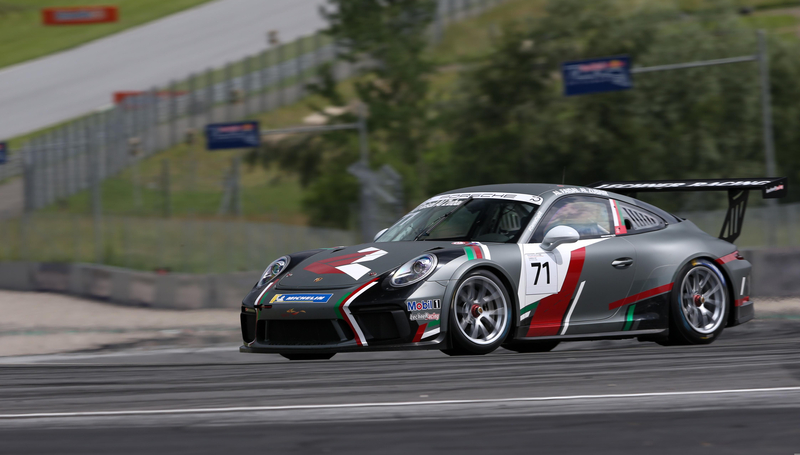 Al Wahaibi reached the chequered flag just outside the top 10 on his European Porsche racing debut in Spielberg. Austrian driver and pole position winner Thomas Preining and Germany’s Michael Ammermuller completed a one-two finish for the BWT Lechner Racing Team, while Dutchman Larry ten Voorde finished third. Al Zubair said: “I got hit in the first lap and, from then on, the balance of the car completely went. I was running P13 in a race that had become damage limitation. In contrast, Al Wahaibi was pleased with his maiden effort for the team. “It was a good start to my European season,” said Al Wahaibi. “We started in P19 and I finished P12 or 13, not sure exactly because the results are not final. It was a huge grid so you always have a lot of cars in front of you and behind you. Al Zubair, driving for the Lechner Racing Team Middle East team, and his fellow countryman Al Wahaibi struggled with the traffic on the circuit in qualifying, but were moved up to 14th and 17th for the start of race one. Khalid Al Wahaibi impressed on debut. Preining and Ten Voorde filled the front row of the grid and the Austrian held his line and the lead through lap one, as Ammermuller moved into second place and Peter Scheufen spun out and Dylan Pereira survived a spin himself and slipped to 30th position. Al Zubair and Al Wahaibi held 15th and 16th through lap two. Both Omanis gained another place each on lap three and Al Wahaibi passed Al Zubair soon afterwards to move into 14th. Preining, Ammermuller and Ten Voorde held the podium positions into lap seven and Al Zubair regained 14th from Al Wahaibi. Al Zubair spun out after a collision in traffic on lap 10 and dropped to 23rd as Al Wahaibi benefited to gain 14th. The rookie gained another place to 13th on the next lap, as the leading trio maintained their positions heading into the last three laps. Igor Waliko suffered a collision, retired in the gravel and his demise from seventh place promoted Al Wahaibi to 12th and Al Zubair to 22nd. The defending Porsche GT3 Cup Challenge Middle East driver then moved up another place to 21st. The safety car was brought out on lap 15 of 17, after Marius Nakker retired and the flag went green with one lap remaining. Preining held on to fend off Ammermuller and Ten Voorde to seal the victory. Al Wahaibi lost two places after the restart to finish 14th and Al Zubair reached the chequered flag in midfield after gaining several positions after his 10th-lap incident. Race two fires into life at 11.40 on Sunday. 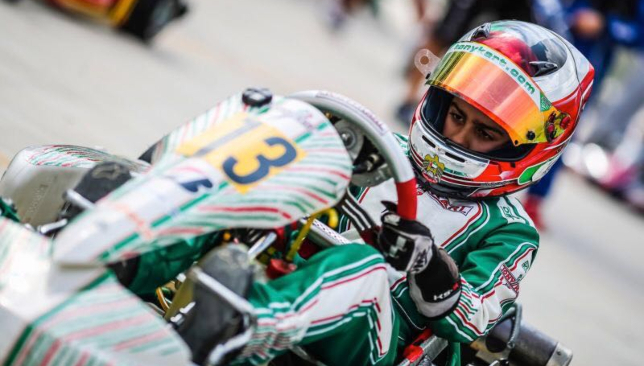 Despite his young age, Rashid Al Dhaheri’s racing exploits have seen him rapidly rise through the ranks of the karting scene in the UAE and Italy. In a further career development, he has taken part in his first race in China where he powered to a clean-sweep of victories. Al Dhaheri qualified fastest to take pole position by three-tenths of a second over his nearest rival. In both heats, he controlled the pace and emerged as the comfortable winner in the final to score his first victory on Chinese soil. The next day, Al Dhaheri took pole again, this time by three-quarters of a second. The Emirati youngster, who mustered all his experience of racing in the wet in Italy, to deliver an impressive performance, winning by a minute and almost lapping the entire field despite the challenging and tricky conditions. His victory on the second day underlined a fine performance where he was unbeaten in the Mini Class throughout the weekend. Team Abu Dhabi’s Rashid Al Mulla completed a clean sweep of the Freestyle category honours at the opening round of the UIM-ABP Aquabike World Championship by winning Sunday’s Moto 2 heat in Gallipoli, Turkey, to add to the Moto 1 success he achieved on Saturday. Russia’s Alexander Kuramshin was the first rider on the water but, after completing a short series of barrel-rolls, his boat suffered technical issues and he returned to the beach by the sea wall in front of the judges. Portugal’s Paulo Nunes followed the Russian on to the water and opened with some back 360s, barrel-rolls and spins and continued with a combination of back flips and finished with a one-handed back flip. The ever-improving Italian Alberto Camerlengo delivered a varied performance and finished with one-and-a-half back flips before crashing into the water to end his three-minute stint. World number one Roberto Mariani followed his fellow Italian on to the water with a range of flips, spins and rolls before losing his boat near the end of his stint and closing out with his traditional ‘fountain’. This paved the way for Al Mulla to round off the Freestyle action. The 31-year-old Emirati delivered a spectacular opening sequence of barrel-rolls, back flips, reverses and spins to delight the large crowd that had lined the pier. He continued to impress through the stint to confirm the victory in Moto 2 and finished off with a series of high back flips.